We are pleased to announce that Anveo Business Phone System now offers Google Contacts integration. 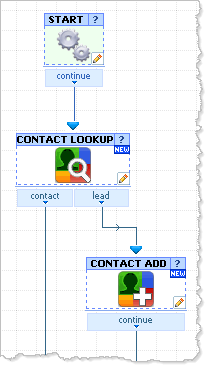 With Google Contacts integration Anveo users can easily customize their business phone systems using Visual IVR Call Flow to automatically lookup and retrieve caller's details from Google Contacts. Incoming calls can be routed based on the Google Contacts details (such as Google Contact Group membership). Also, a new Google Contact can be created with incoming caller details if no Google Contact details were found.